The rapid rise of mobile computing has caused more sleepless nights for security professionals than they would care to admit. Laptops, smart phones, tablets… most employees have one of each, and each needs to be protected. What are the best strategies to enable threat prevention for your mobile workforce? What exactly are the threats being seen today, and what could be around the corner tomorrow? 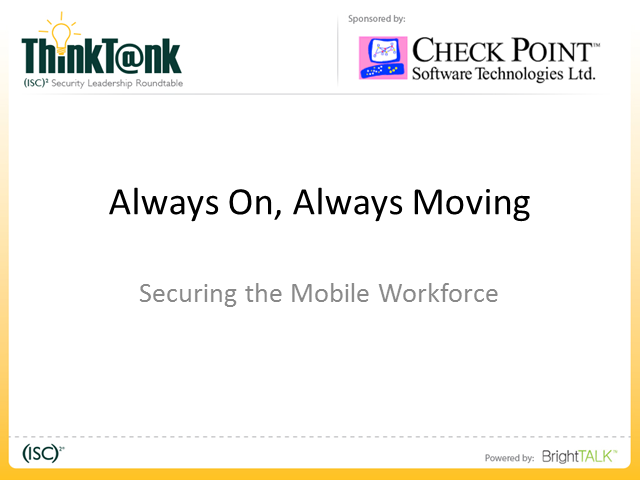 Join Check Point Software and (ISC)2 on July 9, 2015 at 1:00PM Eastern for a roundtable discussion on tackling mobile security challenges to keep on-the-go employees productive and your enterprise secure.